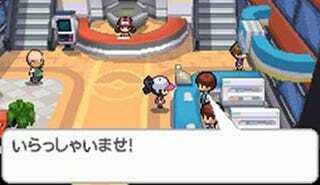 Nintendo's latest Pocket Monster series, Black & White, will be out later this year in Japan. Here are the first official screenshots from the game. You've seen some of these are scans, yeah, but scans can be crappy sometimes, and this was one of those times.